Not all agree on what is acceptable art, as evidenced by the vote of 5 city commissioners in Sarasota. By a vote of 3 to 2, an interactive art project was approved for a 6 month trial period last year. 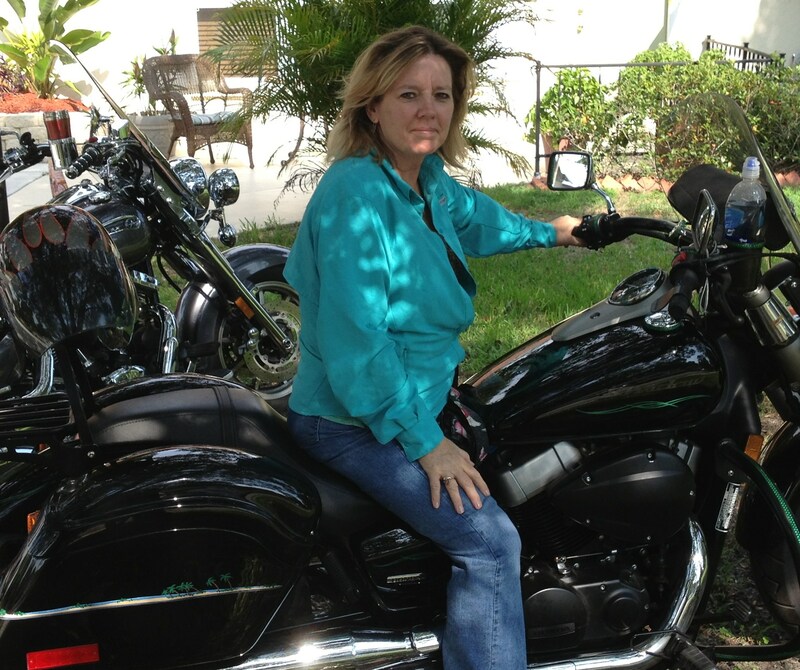 The Sarasota Arts and Cultural Alliance oversaw the project. 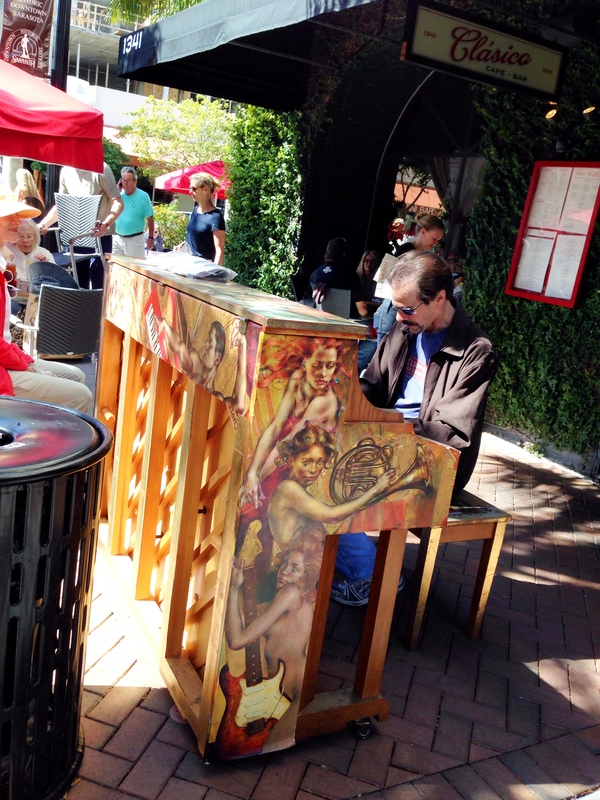 Six spinet pianos, donated by Pritchard Pianos and Organs, were fitted with dehumidifiers, colorfully painted by local artists, and then scattered around on sidewalks downtown. Businesses that agreed to host them on their site would wheel the pianos inside at night or give them cover in rain conditions. Passer-bys had such a positive reaction that the project has been extended for at least a year beyond the original May 31, 2014, end date. 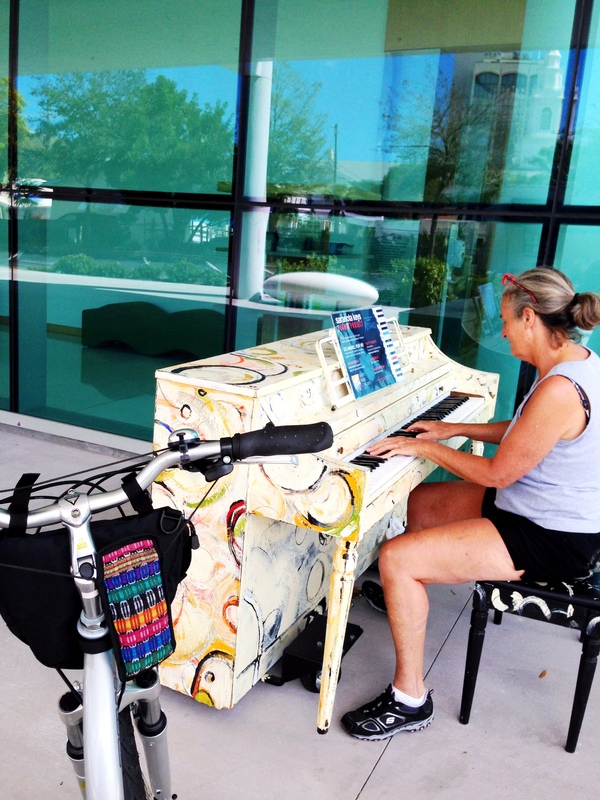 Categories: 52 week photo challenge, Art, Downtown Sarasota, Music, Sarasota | Tags: "Sarasota Keys", chopsticks, downtown Sarasota, Facebook, homeless, performers, pianist, Piano, pop up concert, Pritchard Pianos and Organs, viral, YouTube | Permalink. 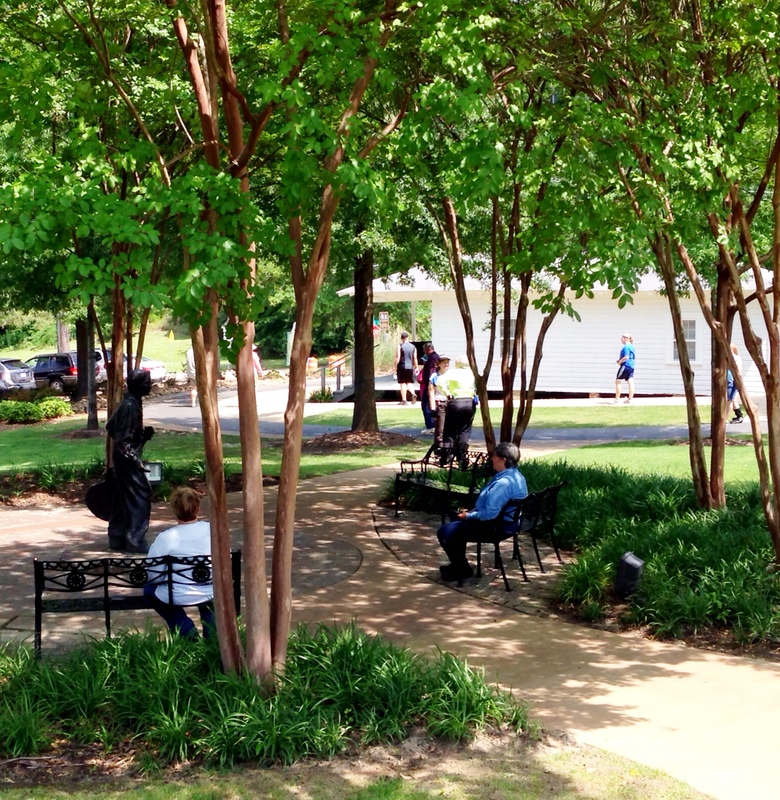 At milepost 260.0, we exited the Natchez Trace Parkway to go to Tupelo, Mississippi. We rode through town in search of the birthplace of Elvis. 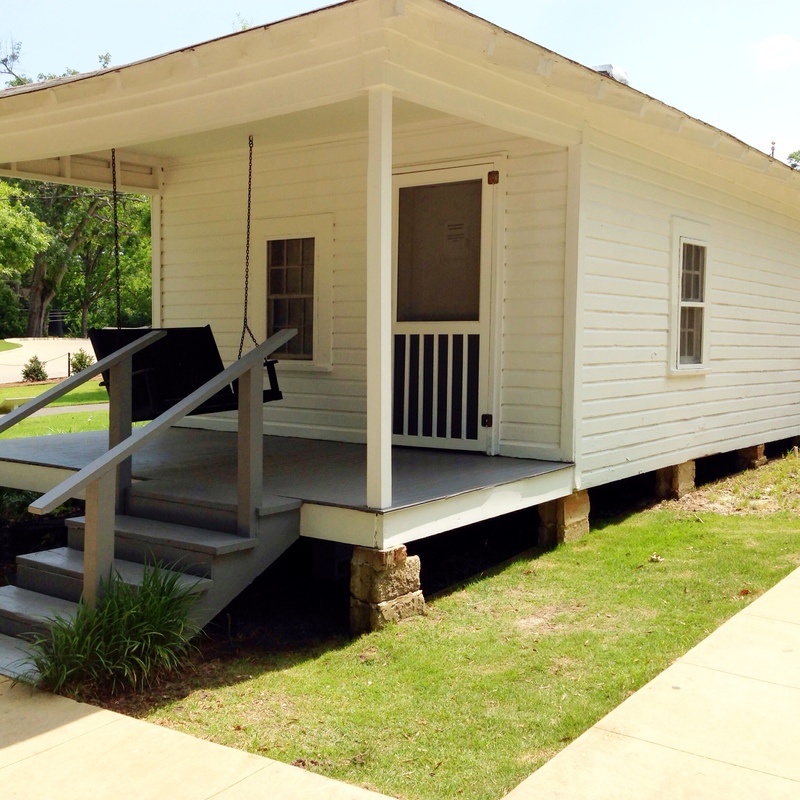 Elvis Aaron Presley was born January 8, 1935, in this modest two-room house built by his father Vernon. Also on the site is a life-size statue of Elvis at age 13. 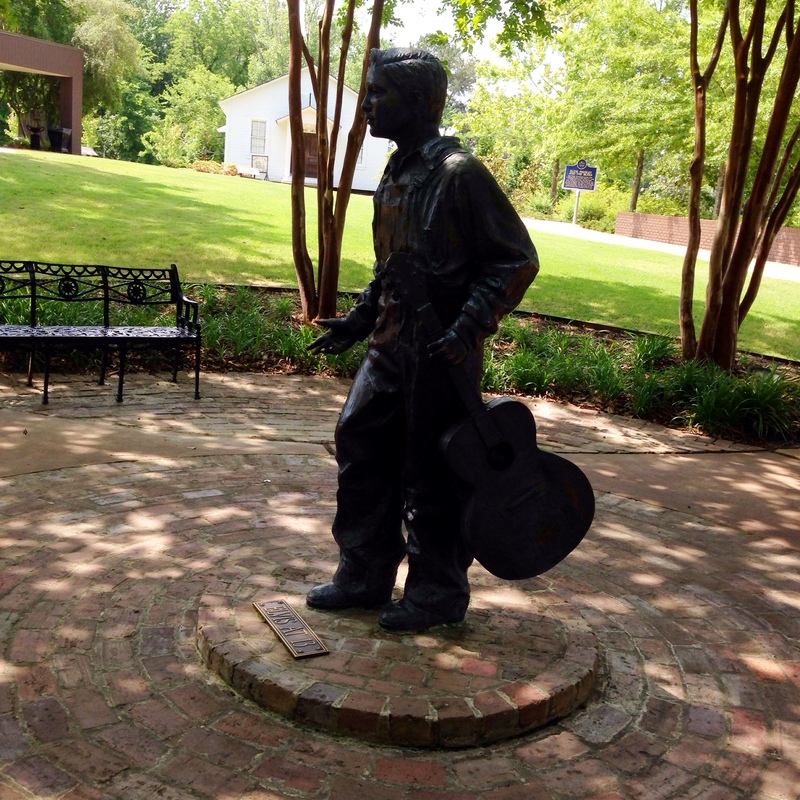 Many travelers make a pilgrimage to Tupelo to visit the birthplace of “The King of Rock and Roll”, and this complex has evolved to include the ’39 Plymouth the family drove when they moved to Memphis, a chapel, an outhouse, and a museum. I wish I could’ve taken more time in Tupelo. I hear there is a larger-than-life size statue in the center of town which depicts a popular photo of Elvis. One hand holds a microphone and the other hand is reaching out to fans. If there is a next time, perhaps I’ll visit the hardware where Elvis bought his first guitar and Johnny’s Drive In to see the booth where Elvis liked to sit and all of the memorabilia on the walls. But this trip, we had miles to cover and people to meet! Categories: 52 week photo challenge, Architecture, History, Maids on the Trace, Mississippi, Motormaids, Music, Natchez, Travel, Vacation | Tags: birthplace of Elvis, Elvis Presley, Elvis statue, guitar, Maids on the Trace, milepost, Motormaids, Natchez Trace Parkway, Tupelo Mississippi | Permalink.